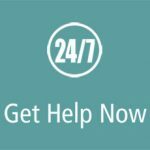 If you are currently experiencing a mental health crisis, please visit Get Help Now for immediate service. At KBBH we believe that your mental health is just as important as your physical health and offer a variety of services to help you as soon as possible. Walk-in services are for new consumers who need to establish care, and limited spaces are available on a first-come, first-served basis. Established consumers should call 541.883.1030 between 7:30 a.m. – 6 p.m. Monday-Thursday or 7:30 a.m. – 5 p.m. on Friday to make their next appointment. New consumers who need to begin or restart care are invited to walk-in to our 2210 N Eldorado Avenue location to take the first step in accessing our services. Please note that walk-in services are available for all consumers to utilize, however, at this time, those without Oregon Health Plan coverage may be responsible for the cost of service. We will be happy to discuss private insurance and financial assistance options when you arrive. You can call us at 541.883.1030 for information about covered providers for your specific insurance. No one will be turned away for inability to pay. We try to reduce your wait time as much as possible while still serving everyone. If you do end up waiting, you can enjoy water or coffee in our lobby or check out a mobile device at the front desk and spend time on myStrength, our cutting-edge behavioral health app. Depending on the number of consumers waiting, you may be given a return time after you check in. Please be sure to return by the scheduled time. We will complete a brief intake when you arrive, or you can choose to do this in advance by calling 541.883.1030 and asking to speak with one of our Care Navigators. Your intake will include a discussion about your current behavioral health care needs, insurance payment or financial assistance options, and an evaluation by one of our therapists before discussing treatment options. Your privacy and dignity will be respected at every point in this process and your treatment options will be based on the most current evidence and individualized to meet your needs. Monday – Thursday: 8:30 a.m – 3 p.m.
* Please bring a current list of all medications. Monday-Friday: 8:30 a.m – 3 p.m.
Monday, Tuesday, Thursday, and Friday: Please call us at 541.883.1030 for times. *To provide the most personalized services, the child must be present at check-in. Children under the age of 14 must be accompanied by a legal guardian. Please don’t hesitate to ask at the front desk or call 541.883.1030 if you have questions about these instructions. We look forward to serving you.